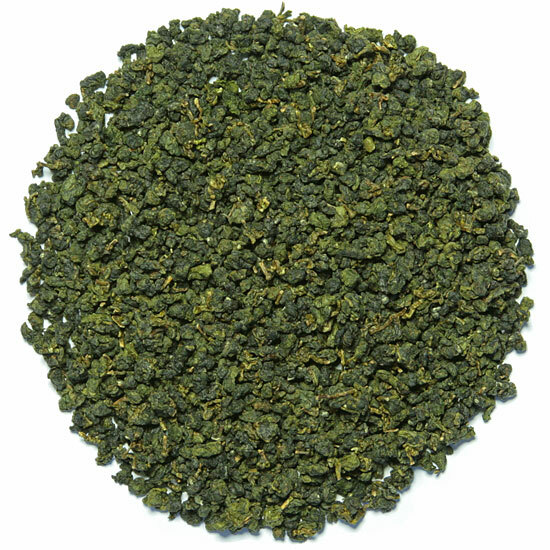 High mountain oolong – gao shan – are Taiwan’s most distinctive teas. 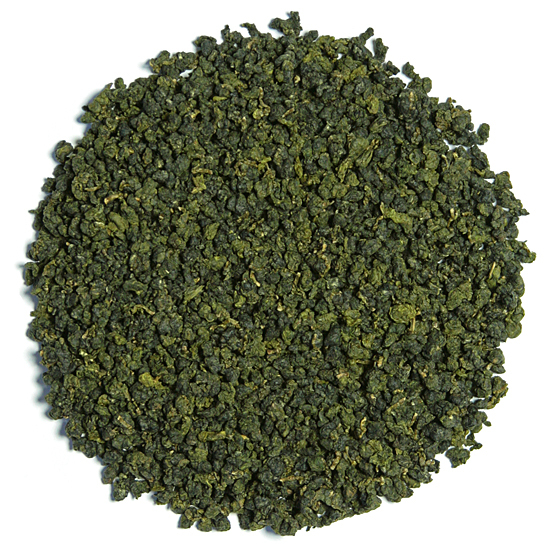 These teas yield rich, juicy, full-flavored and high-fragrance teas. Gao shan teas are hand-plucked and grow in high-elevation tea gardens (4,000 to 8,000 feet ) located in the mountains of central Taiwan. As you can see from Mary Lou’s photographs on this page, the tea factories and tea gardens are perched amidst some stunning but rugged terrain. There are two seasons of note for gao shan tea: spring and winter (winter plucking begins in late October in some locations). 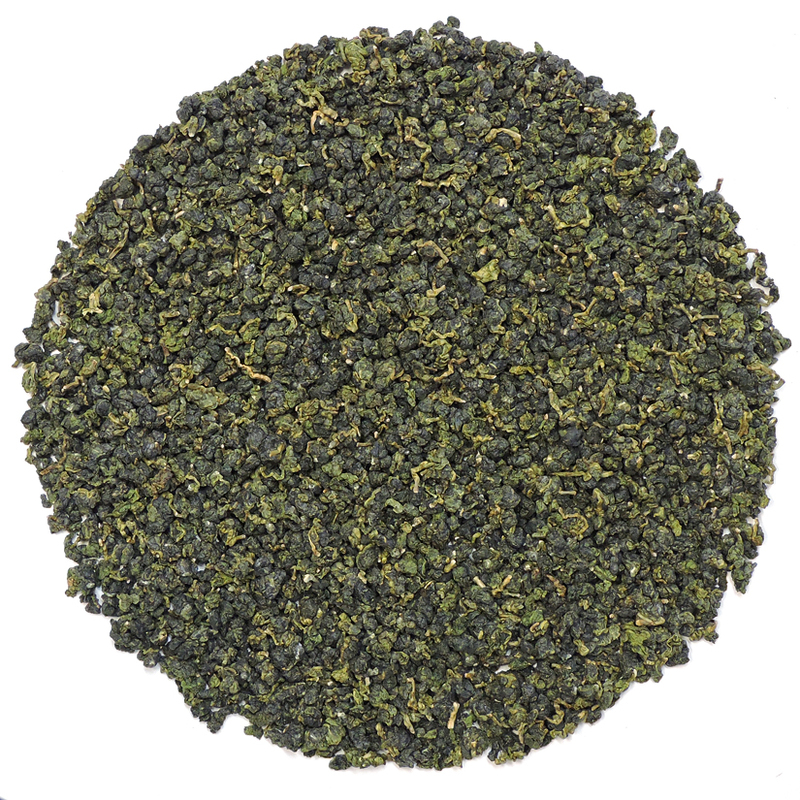 Tea from each season brings its own delicious characteristics to the cup; spring begins the new harvest year and winter tea brings it to an end. 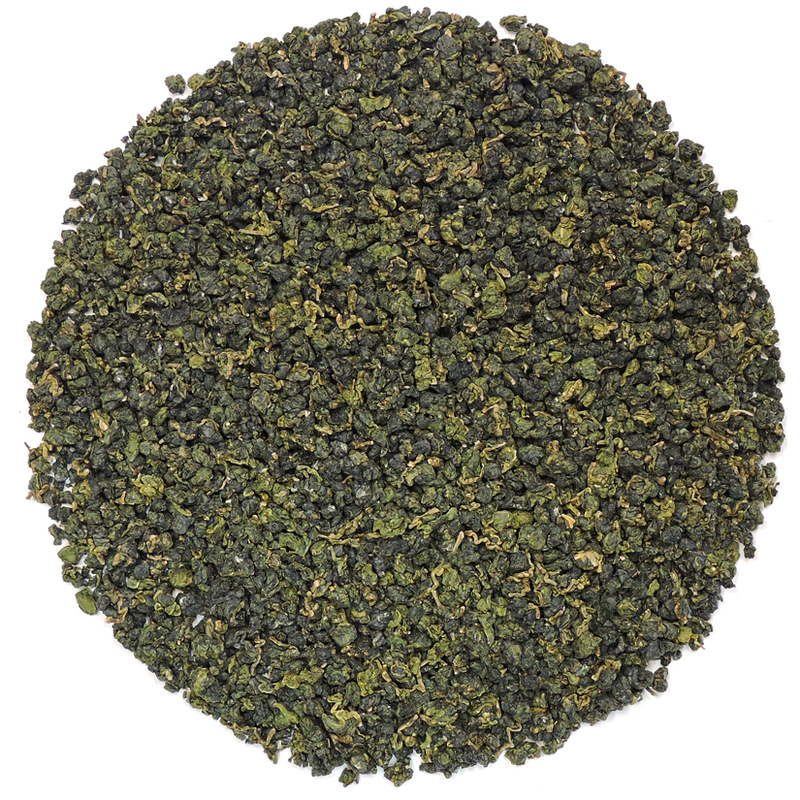 Spring teas possess the vigor of renewed growth at the time of bud-break and winter teas reflect the rich maturity and high-fragrance of the final crop of the season. 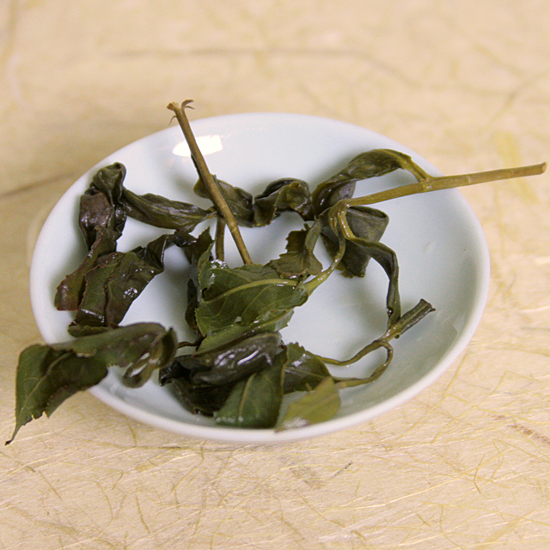 The yield for gao shan is small, due to the high elevation, slower plant growth in thin air at high altitudes, and the small size of the tea gardens (under 5 acres). Also, each pluck is comprised of the complete stem end of the branch with 3 or 4 leaves attached. This style of plucking eliminates the ability to pluck a greater yield from each bush, or to use leaf and buds of a different pluck. This combination of factors, coupled with the difficulties of farming on nearly vertical, steeply-sloped land, and the challenges of maximizing efforts in a short growing season is not conducive for a large output of tea. But happily these conditions are conducive for crafting small-batch teas from tea bushes that are well-adapted to their environment, and the tea farmers can name their price for their tea. 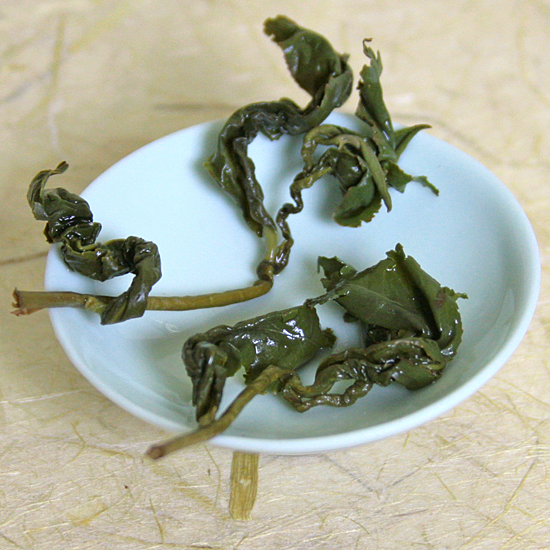 While gao shan does not have a long growing season, it does have, more importantly, a long dormant period. Dormancy, or winter hibernation, provides essential rest for the tea bushes. Rest is necessary for the plants to adequately absorb minerals and nutrient from the soil, and to gather plentiful energy before the growing season begins anew in the spring. Careful cultivation, and an enviable terroir ( the effects of soil composition, weather and micro-climates on flavor and aroma ) yields teas brimming with concentrated, abundant, sweet flavors and intoxicating, floral aromas. 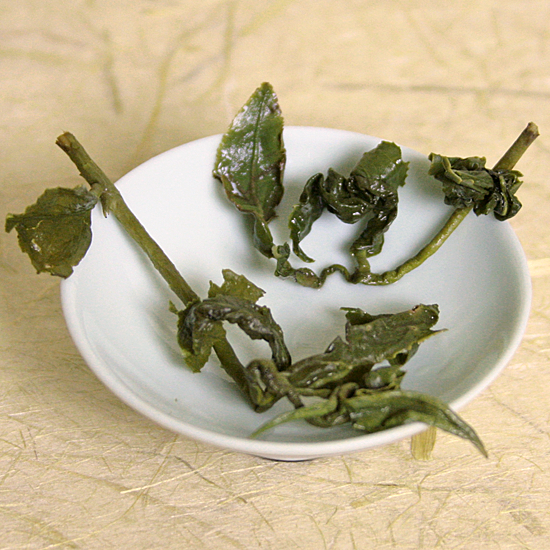 These teas are comprised of the complete stem end of the branch with 3 or 4 connecting leaves attached. These clusters can be strikingly large, and the presence of stem and their connectivity is one of the signatures of a good gao shan ( do not remove the stem!). Our teas are clean and whole, and do not contain broken bits. 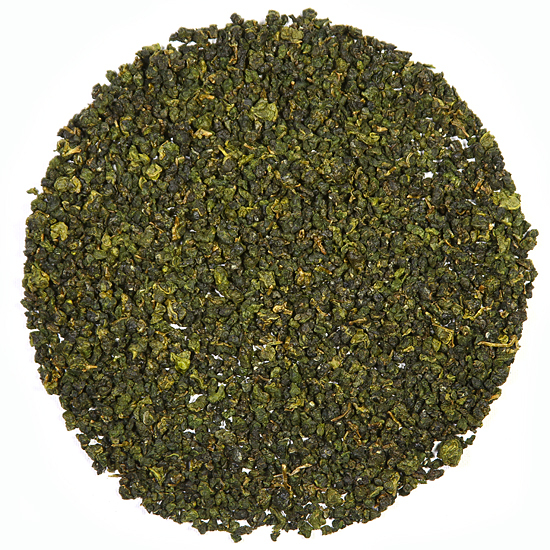 The amino content of this leaf is high, giving each tea a rich, chewy mouth-feel and a persistent, pure, clean vegetal taste. Comparing different gao shans from these famous tea mountains is an astonishing way to understand the effects of terroir. While gao shans have much in common one to another, each region and each tea mountain produces a unique tea. 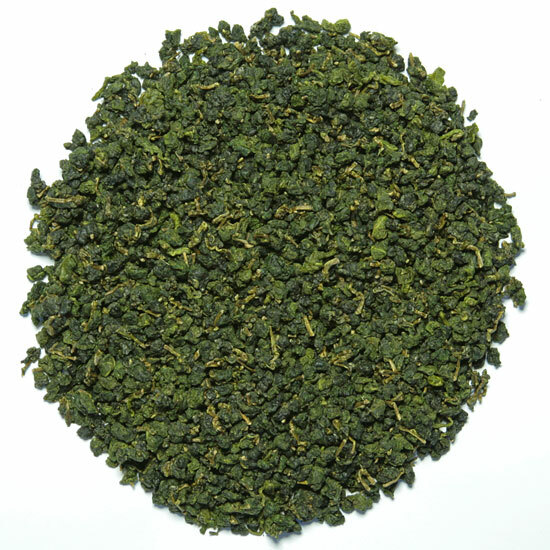 It is not often that such a choice selection of gao shan is found in the US – even in Taiwan a selection of gao shan can be difficult to source. Despite the small production and the high cost, many tea farmers have waiting lists comprised of tea lovers hoping for a small quantity from the next seasonal batch. Sometimes people wait several years before someone drops out and they are able to purchase some tea.